John Jones and Rebecca Thomas married in Christchurch, Cwmaman, Carmarthenshire, Wales in 1843 - the year after that parish and church were created from Llandilo Fawr, Betws and Llandybie in Carmarthenshire and Llanguick (Llangiwg) and Llangadog in Glamorgan (see Christchurch on the Cwmamman history site). Both were described as being of full age with John a labourer residing in Trap, father also John Jones a labourer. Rebekah (sic) was residing in Trefach, father John Thomas, a weaver. Neither could sign their own names. The marriage was witnessed by John Edwards and Thomas Davies Jones. John Jones senior may have been John Jones (c.1782-1858) buried on 7 February 1858, who was at Pantyffynon, between Onnen Fawr and Trap Mill in the 1841 and 1851 censuses with wife Mary. In the 1841 census Rebecca Thomas is likely to be the person of that name recorded as a female servant aged 20 in the household of Morgan Davies at Lovelodge Mill, Fairfach near Llandybie. Four baptisms were recorded for John and Rebekah Jones at Christchurch: John (1843), David (1846), Mary (1848) and Griffith (1850). The first had their address as Trap, Tregib Hamlet. Griffith's was given as Hewlddu. In the 1851 census John and Rebecca are at Llwin (llwyn?) Caredig in Llandybie. This is listed after Gelly Fawnen farm and Ty Newydd and is likely to have been located off Nant y Glyn Road, between present-day Pontaman and Glanaman. John, a labourer aged 31 born Llandilo parish and Rebecca aged 29 born Llandybie have three sons: John (7), David (4) - both born Llandilo - and Griffith (1) born Llandybie. Also in the household is Mary James(?) (2) a nurse daughter, born Llandybie - but is this Mary Jones? By 1861 they are listed in Ferenfawr, a part of the Llandybie parish on the outskirts of Ammanford. In fact, their location at Heol Ddu is close to where they were in 1851. They are adjacent to a property called Mount Pleasant and effectively on the mountainside above Glanaman. In this census Rebecca is shown as being born in Llandilo, John junior and Mary are no longer with them, David (14) is a shoemaker, 11-year-old Griffith is a labourer iron. Thomas (7) and Elizabeth (4) both born Llandebie have arrived - as has Owen Thomas (3) described as a 'border' born Glamorgan Llangefelach. The burial on July 29 1863 of Rebecca Jones, aged 42, of Heol Ddu is shown on the Llandebie parish records. In 1881 John (60) labourer born Llandybie and wife Elizabeth (67) born Llandilo were alone in Clynboidy Cott, Caegurwen. Clynboidy Cott (Glynbeudy) was a substantial area of housing in what became Lower Brynaman. Rebecca Jones (1863- ) born Llanarthen (Llanarthne? ), Carmarthenshire according to 1871 census. Muriel Locke (June 5 1896-1953), a chapel cleaner living at 52 Gough Road, Pontardawe District with her father in 1939. Annie Beatrice Locke (July 15 1902-1972) who married Morgan Davies (October 4 1898- ) in 1928. They lived at 52 Gough Road in 1939 when Morgan was a coal hewer. They had Valmai Davies (November 14 1928- February 1992). She married William B Thomas ( ) in 1965. Selina Locke (May 5 1906-July 22 1972), married Evan John Higgins (Dec 17 1904-1968) in 1929. They lived at 17 Tai Gwalia, Upper Cwmtwrch, Breconshire. They had two daughters, including June Higgins (June 5 1931-May 4 2009) who married Henry Owen (Harry) Ketteringham (Jan 19 1928-1987) in 1952. "PRIODWYD,- Awst 24ain, yn Soar, Ystalyfera, Mr Thomas Gope, a Miss Regina Jones, Gough Road, gerbron Mr Rees, cofrestrydd, Ynysmeudwy, gan y Parch John Evans, Caersalem, Ystalyfera." Annie M Cope married Ieuan Evans ( ) in Pontardawe district in 1920 and had two daughters, including Irene M Evans (June 8 1921- ). Annie Owen (1898- ) married David John Edwards (March 17 1894-1962) in 1921. They had children including: Glenys Edwards (January 22 1923-1994) who married Gwynfor Rees Griffiths (August 21 1920-1993); and William E Edwards (May 30 1927- ). Hannah Jane Owen (February 9 1900-1988) married William J Jenkins (February 13 1899- ) in 1929. Maggie Blodwen Owen (September 7 1901-1998) married William J Snook (December 10 1900- ) in 1922. They had Gwynfryn Snook (1923-February 16 2006, died Ystradgynlais) and a daughter. Gwynfryn married Mair Brace (1928-1997) in 1949 and had three daughters. John Owen (October 20 1906- ) who married Phoebe Esther Francis (June 24 1911-1985). Erwyn Owen (October 25 1909-1964). A colliery hewer in 1939 married to Sarah Ida J Jones (July 14 1914-2000) since 1935. He died in Ystradgynlais District. Sarah married Stephen M Price in 1977. Catherine Jones (April 27 1877-1947) who married James Wadley (1876-1937) born Cwmtwrch, Breconshire. They had children, including John Wadley (1902-1960), Elizabeth Ann Wadley (1907-1969) both born Ystalyfera. Elizabeth Ann married William Rees Gabriel (1904-1970) and had a daughter. Edwin Jones (1879- ) married Maggie C (Margaret) Thomas (1878- ) born Rhymney in 1910 and adopted a daughter Lizzie Jones born Ystalyfera who was 6 in 1911. Edwin was a tinplate furnaceman in that year and Maggie a greengrocer. Oliver Jones (1882- ) married Margaretta Morgan (1884- ) born Llanelli, Carmarthenshire in 1905. In the 1911 census Oliver was a coal haulier (above ground). They lived in Gough Road, Ystalyfera with daughter Hannah Mary Jones (5) and son William Idwal Jones (1908-1915) both born Ystalyfera. Irene Jones (1889-1918). She was single and living alone with her widowed father at Gough Road in the 1911 census. She married David James Lewis (1886- ). Mrs. Jones, late Coronation Road, has received official intimation from the War Office that her husband, Priv. William Jones, who was missing since the 7th August, 1915, is now reported killed from the above date while in action at Suvla Bay. Great sympathy is feit throughout the district for the widow and her little children, and with his father and mother, Mr. and Mrs. Jacob Jones, Coronation Road. (Amman Valley Chronicle - district News, 30 November 1916). The Commonwealth War Graves Commission records his death date as 10 August 1915. He has no known grave and is commemorated on the Helles War Memorial. Mary Hannah Jones (October 4 1892- ) married Charles Coker (January 10 1889-1960, born Battersea) a 29-year-old miner also of Coronation Road, Garnant (father Robert Coker) at Christchurch, Cwmaman on March 13 1917. Charles Coker was a boarder in Jacob Jones' household in Coronation Road in 1911. A Lizzie Ann Coker of Coronation Road died in October 1919 aged 9 months. In 1939 they were at Globe Cottage, Garnant Hill with Yvonne Coker (December 15 1927- ) and Derrick J C Coker (October 20 1931-2004). Sarah Ceridwen Jones (26 October 1896-1975) baptised 7 January 1897 at Christchurch, Cwmaman. With her widowed father at Coronation Road, Garnant in 1939. David Michael Jones (18 October 1903- ). With his widowed father at Coronation Road, Garnant in 1939, a railway porter (grade 1) with wife Mary J ? (March 21 1908- ). Rebecca Jones (1872-1905) married William Morgan Jenkins (c.1852), a widowed collier, at the Parish Church of Llandilofawr on May 7 1900. They had Mary Elizabeth Jenkins (1901- ). In 1911 the (again) widowed William Morgan Jenkins and Mary Elizabeth were with Mary and Margaret Jones at Mountain View, Garnant. Hannah Jones (1874- ). With parents at Mountain View, Garnant in 1901 also with son Daniel Stanley Jones (1899- ). 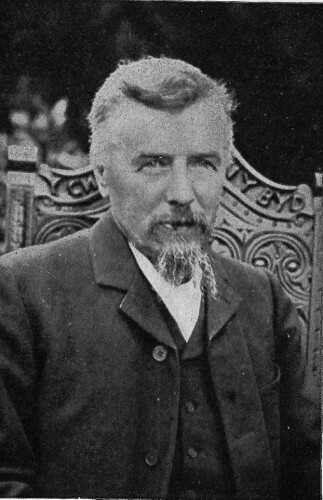 The child's father David Harries (1872- ) was pursued for arrears of payments in 1900 and eventually married Hannah c.1906. Daniel Stanley Harries is recorded in the 1911 census with both parents at Bryncethin Bach, Garnant. Margaret Jones (March 9 1879- ). Single and with her mother at Mountain View, Garnant in 1911. She was a grocer and confectioner at Mountain View in 1939 with Thomas Edgar Jones and one other. Thomas Jones (1882- ). A shoemaker at Mountain View, Garnant in 1901. USEFUL INVENTION BY A GARNANT MAN. More about Tom Jones and Amman Boot Polish. Mary Jones (1848-1871) baptised 27 August 1848 at Christchurch, Cwmaman. She married Watkin Hezekiah Williams (1844-1905), a 27-year-old collier from Cwmgarw at Christchurch, Cwmaman on April 9 1870. He was the son of Hezekiah Williams, a labourer. She was described as a dressmaker from Brynamman. 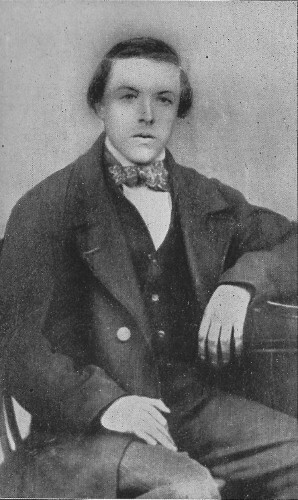 Watkin Hezekiah Williams is better known by his bardic name Watcyn Wyn, poet and, later, preacher and headmaster of Gwynfryn school in Ammanford. Mary was dead within 11 months, leaving Watkin a widower with a three-week-old daughter Mary Williams (1871-1931). Mary was described as an unmarried private teacher at Gwynfryn, Ammanford in the 1911 census living with her widowed stepmother Anne Williams. Watkin Williams had remarried in 1879 to Anne Davies (1853- ) and had George Owen Williams (1879-1930) who became the first headmaster of the Amman Valley School. David John Jones (1872- ) born Ystrad Rhondda, Glamorgan (Aberdare in later census). Lizzie Ann Jones (1874- ) born Ystrad Rhondda, Glamorgan. Rebecca Jones (1877-1930) born Ystrad Rhondda, Glamorgan (Treorchy in later census) married Charles Ernest Gooding (1872-1947) September Quarter 1893. Had children: Annie Mary Auguste Gooding (1894- ) married Leonard Rowland Martin (1896- ), St Michael's, Woburn Sands, 4 June 1915; Violet Gwendoline Gooding (8 December 1904-20 August 1980, died in Cardiff). David Christopher Jones (1899- ) listed in 1911 census as David Christford, born prior to the marriage in Tycroes, Carmarthenshire. William Edgar Jones (1902-1902) born Tycroes, Carmarthenshire. Hannah Mary Jones (1899- ) born Ammanford, Carmarthenshire. Gwynfor Jones (1904-1905) born Ammanford, Carmarthenshire. Daniel Caradog Jones (November 21 1908-1970) born Ammanford, Carmarthenshire. He married Phyllis Llewelyn (October 13 1909- ). He was a colliery worker living in Pontamman Road, Ammanford (next to the Mount Pleasant Inn) in 1939. John Oliver Jones (April 14 1910-August 29 1958) born Ammanford, Carmarthenshire. A french polisher in 1939 at 5 Wernoleu Road, Ammanford. His gravestone in Llandybie also commemorates his wife Ray (November 16 1906-March 18 1983).